Excellent food. Great waitress who was very attentive. Would recommend and go back. I will definitely be taking friends and family back to this place! The staff were helpful and friendly, checking on the table regularly. We were "wowd" by the layout and set up of the restaurant and the food was absolutely amazing from the entrees through to dessert! 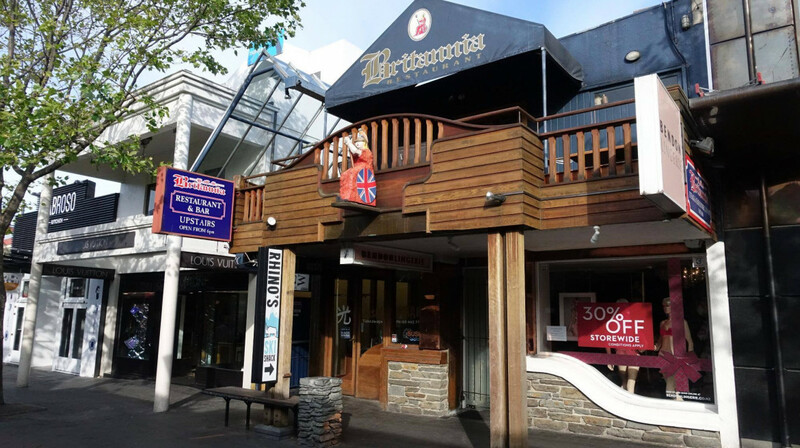 My Husband and I have been to Queenstown at least four times now and why oh why have we not dined at the Britannia Restaurant before?!! On Thursday night we had the absolute pleasure, along with two family members, to immerse ourselves in the entire experience. The ambience of the ship themed Restaurant is second to none and such a pleasure to walk into from a cold night. The entrees we chose included the seafood chowder, prawn cocktail, calamari and "real garlic bread" as my son described it. Everything absolutely scrumptious! 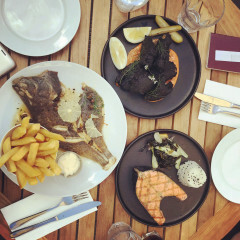 We had two steak dishes (best steak ever in Queenstown) one rack of lamb and the salmon. Once again everything scrumptious!! Seriously this is the BEST Restaurant we have ever dined at and we have been to the supposed top notch ones! The staff were also excellent and we truly cannot wait to dine here again. Well done guys!! It was a big surprise to get there and be inside a boat/castle. The place is absolutely incredible and the food is amazing!!!!!!! Definitely a must do in Queenstown!!!! I loved it so much that I will be back asap!!!! Excellent food and staff. 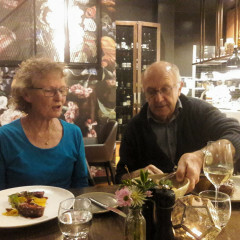 I would rate this one of the best restaurants we have tried in New Zealand. Awesome restaurant! Highly recommend if you're visiting Queenstown. Really cool restaurant! Has two different dinning areas with different themes, cool staff, kids friendly, great food and service! Always enjoy going here, such a unique experience and the food always good. Great dining experience! Would highly recommend. It was pretty awesome all round with a central location, lovely atmosphere, great value for money food and drink!!! I have already recommended to friends and family. This place is a gem! The inside of Britannia is like the inside of a ship, we opted to sit inside and were sat at a cosy little booth by candle light. 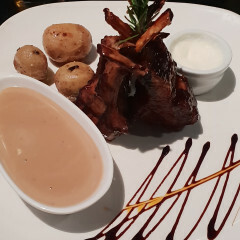 The food was fantastic, I ordered a steak, rare and it was perfectly cooked, my partner had the lamb shanks and they were huge with meat that fell off the bone - he was super happy! The service was some of the best service I have had in New Zealand in a long time. They asked about our day, made sure the food was okay, waited until we had both finished eating to clear plates, checked on drinks when we were empty - top notch! the place was unique and cozy..you will feel like you're taken into a different place. the food was superb, from the entree to the dessert..we didnt expect alot before coming to this place but left the restaurant with our bellys and heart fully satisfied. great job! This is our second time dining at Britannia. I have always been so pleased by the service of the staff. 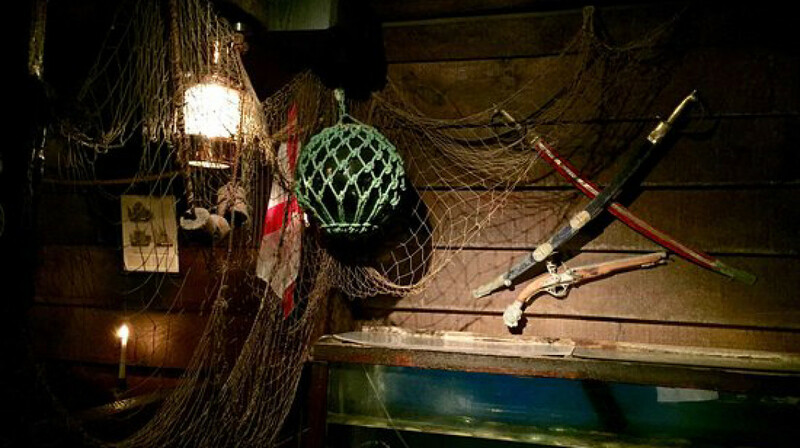 The restaurant’s ship theme is unique and makes for a very neat experience. 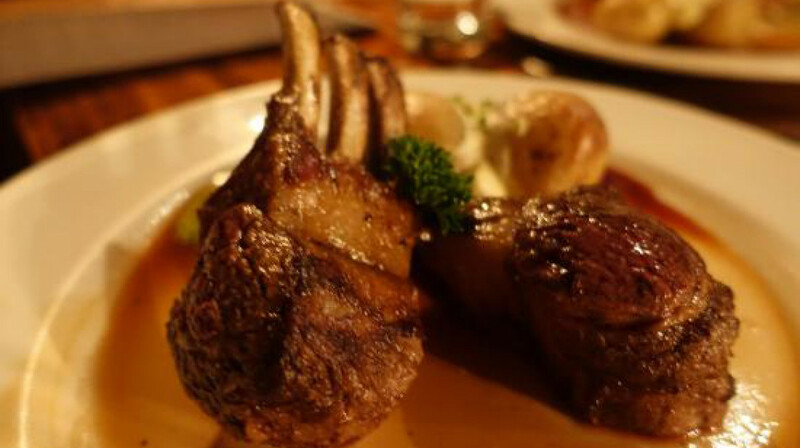 The food is great, and we have all sampled a wide range of dishes but the lamb shank always is a favourite. Portions are large so be prepared for that. It’s a fun place to eat and I’m sure we will go again! Britannia hasn’t changed much for years - but that’s not a criticism. It’s great fun being able to go somewhere where you can still get a traditional meal of steak with garlic butter, or prawn cocktails... And as for their signature chocolate boat with a toffee mast - love it!! Great food and generous portions for our mains. We had lamb shank and rib eye. Couldn’t get to dessert, that’s how generous they are. Loved it!! Had the 450gsm Porter steak. Incredible. Absolutely huge, so make sure you're hungry if you're ordering that. Service was great, really lovely waitress who was attentive, polite and lovely. Good wine and 5-star food. Really great setting as well, very intimate. Will definitely be back! Nice one. Good service! Food was the best we have ever had there, mussels were amazing as were the 6 different steaks, seafood, Soup and sides. great place, beautiful oysters, great service. chicken filo absolutely great. liquor affogato as dessert it was awesome. The staff were amazing and the food delish! We had a wide variety of food and everyone was very happy with their choices. Salmon, steak, venison and cod plus appetizers and dessert. Fabulous food and service well worth a first table visit. Food and atmosphere were perfect for a nice night out! Try the blue cod, sooo good. Not a fish eater? Can’t go wrong with a steak, and Britannia made a mean ribeye. Portion sizes were more than fair and staff was super friendly. Nice meal. We ate Beef,Lamb,Venison. All delicious. The dessert was fantastic too. Really nice place to have dinner, food was great, staff were lovely and everything was quick as well so you weren't waiting ages for drinks, starters or mains to arrive. Thanks for your great hospitality!! 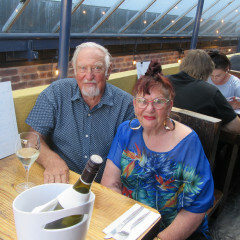 It was our 55th Wedding Anniversary. We chose Britannia for its seafood menu. We were not disappointed. The seafood cocktail & squid starters were perfect choices followed with scallops for him & the monk fish with mussels in a fabulous butter sauce ( can I have the recipe) for me we finished with a chocolate boat filled with ice cream & toffee rigging. A boat with 2 owes as the waiter described. It was also perfect also as we could share by eating at both ends. It was hot so we were outside. When a table become free in the breeze, we were asked if we would like to move there. The staff were friendly, & helpful but didn’t bother us while eating. I hate being asked while eating if you like the meal! We will definitely be going back. There are lots of things yet to try on the menu. 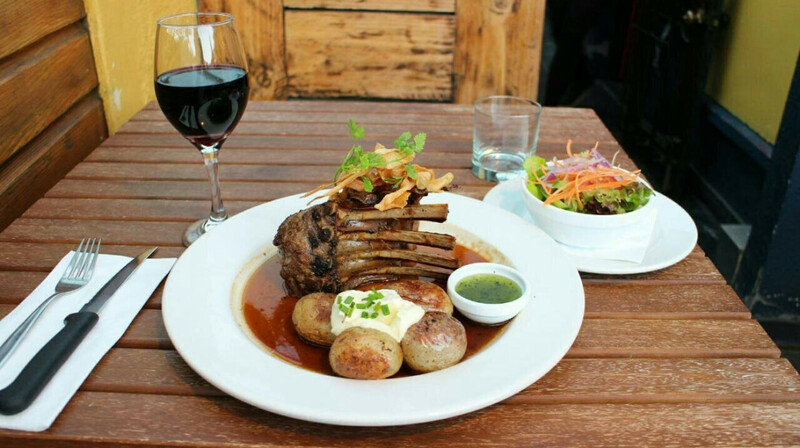 One of the few restaurants in Queenstown largely unchanged in the last two decades. Unique decor inside like an historical ship's cabin and lovely balcony overlooking the Mall. Good service. Largely seafood but also all the red meats and chicken on the menu. Simple, but sufficient wine-menu. 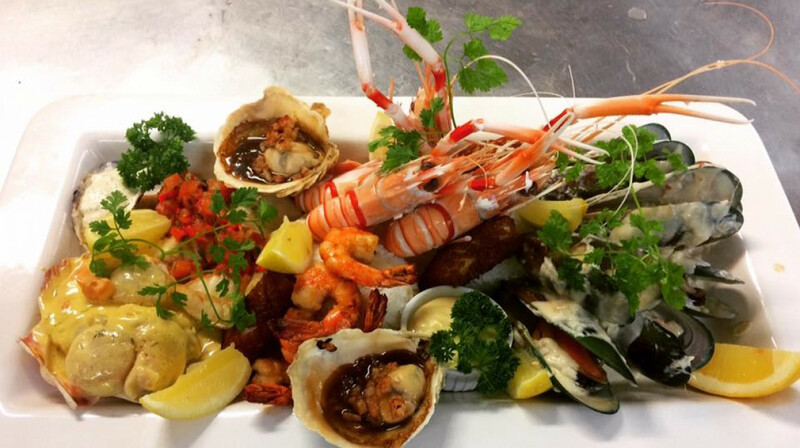 We ordered the (shared for two) seafood platter - delicious and generous! 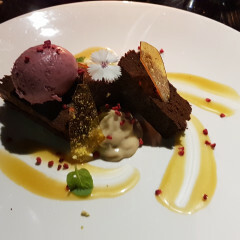 Then the signature 'chocolate ship, grand marnier ice-cream and toffee sail' dessert I remembered (never forgot it) from 20 years ago. Super happy with everything and highly recommend Brittannia - it has a good thing going - hope they don't change! Great food. Awesome selection of seafood dishes & also land dishes. Great service. Fantastic night in qtown. Amazing food and really neat restaurant that is worth checking out for the inside. Would definitely go back. Still totally love this place - 80's themed ship / castle restaurant that would just wouldn't expect if you saw it from the outside. Food is excellent and very reasonably priced even at full price so first table is a steal! I need to start exploring more of the menu but their steaks are too good. Next time I promise myself I'll try the Salmon as my partner gets it each time and its even better than the steak! Thanks guys and see you again! Nice service. Portion size and taste are awesome. We ordered the Sinbad’s sizzler and lamb rack. They are sooo amazing including the fries came with the ribeye steak. Thanks to first table, we got 50% off our bill except for the drinks, which is still an extremely great deal. We will definitely be back if we visit Queenstown. Service excellent and so was the food. One of my better experience s.
Really nice place. I was surprised when I walked in. Fast service and good food. I will come back for sure. We had such a great evening at Britannia last night. The decor is fantastic - the inside of an old galleon - but it was the way in which the staff dealt with a last minute vegan addition to our party that made the evening. Thank you to all of you for going that little bit further for us. Highly recommended. Super friendly staff. I'd definitely go back. The food was excellent. We had the lamb, scallop, fish and steak and they were excellent. The chocolate dessert was great too ! Will be back !